CHICAGO — The winds at Wrigley Field were howling out to center field before Friday’s game between the Chicago Cubs and Los Angeles Angels, but the game’s best player isn’t there to take advantage of them. 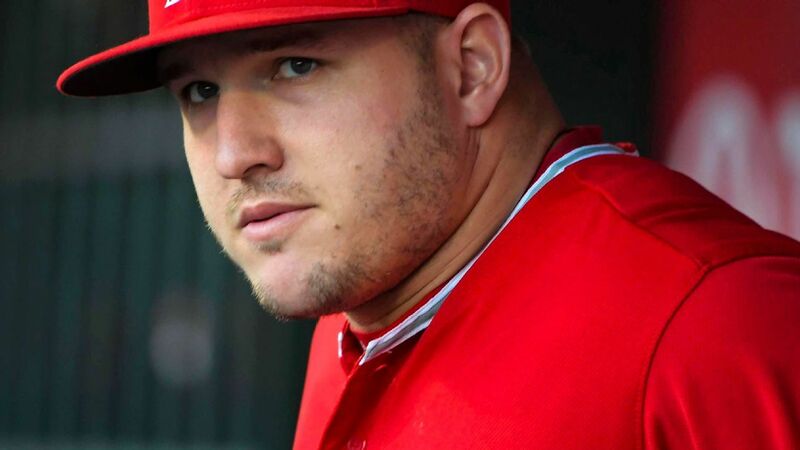 Mike Trout, the Angels’ two-time American League MVP, remained in Anaheim, California, when his club departed for Chicago on Thursday because of a right groin injury suffered during a game against the Milwaukee Brewers earlier this week. While the cold and windy conditions in Chicago wouldn’t have helped the injury, Angels manager Brad Ausmus said that wasn’t a factor in the decision to leave Trout behind. Trout was removed from the Angels’ game before the fourth inning on Tuesday after experiencing discomfort. The game’s highest-paid player, who signed a record 12-year, $430 million contract extension during spring training, is off to a characteristically strong start. He is hitting .406 with five homers and 12 RBIs in 12 games.